Dhaka range has 17 districts including Dhaka, the capital and largest city of the country. The districts are Dhaka, Narayanganj, Gazipur, Manikgonj, Munshigonj, Narsingdi, Tangail, Kishorgonj, Netrokona, Faridpur, Gopalgonj, Madaripur, Rajbari and Shariatpur. Dhaka district was established in 1773, but it saw the Superintendent of Police (SP) from 1863. Lt. W. L. N. Knyvett was the first superintendent of Dhaka district Police. It has seven police stations- Savar Model, Ashulia, Dhamrai, Keranigonj Model, Dakhin Keranigonj, Nawabgonj and Dohar. It has two investigation centers and eight outposts including one river outpost. The National Mausoleum, the most adorable and highly sacred architecture of the nation, is situated at Ashulia. Jahangirnagar University, a renowned residential public university, is located at Ashulia. Ashulia is also the hub of garment industries. Narayanganj, having a jurisdiction over 759.57 sqkm area, was turned into a district in 1984 and later into a city corporation in 2011. The district is known as a city of garment industry as over 1100 factories are situated here. Worlds largest jute mill Adamjee is also situated here. Recently, the mill has been closed and its place has been turned into as Adamjee EPZ.Panam Nagar at Sonargaon, tomb of Sultan Gias Uddin Azam Shah, and fortress of Isha Khan at Hajiganj are renowned as places of historical interests in the district.The district police force was formed in 1984 with 7 police stations: Narayangonj Sadar, Fotulla, Bandar, Siddhirgonj, Araihazar, Sonargaon and Rupgonj; 11 camps, 3 inquiry centers. Gazipur, having an area of 1741.53 sqkm, is the district of Dhaka division established in 1984. It has 2 cirlces, 6 police stations: Joydebpur, Tongi, Sreepur, Kaliakoir, Kapasia and Kaligonj. Recently, it has been declared as city corporation. Mymensingh and Kishorgonj districts on the north, Dhaka, Narayanganj and Narsindi districts on the south, Dhaka and Tangail districts on the west. Bangabandhu Sheikh Mujibur Rahman Agriculture University, Bangladesh Rice Research Institutre(BRRI), Bangladesh Agricultural Research(BARI) Institute are located here. Manikganj, a district under Dhaka division, is situated beside the river Kaliganga. It has a unique natural landscaping due to the presence of a number of canals. Dhaka-Kolikata Road, the Asian highway runs through the northern side of the town. Manikganj was established as a subdivision of Dhaka district in 1845. It was turned into a district in 1984. The area of the town is 20.59 sq km. It has 2 circles, 7 police stations: Manikganj Sadar, Singair, Saturia, Harirampur, Shibalay, Doulotpur and Ghior; 1 town outpost, 2 investigation centers and 1 river traffic outpost at Paturia. Munshiganj district is a historically renowned place with fond memories of many renowned people, commemorating events. The district is a liberal Bongo realm of capital of Bikrompur which began from ancient Chandra governance to Pall, Sen, Moughol and the achievement of Brahman governances.Munshiganj district, formerly a subdivision under Dhaka district, was established in 1984. It has 2 circles, 6 police stations: Munshigonj Sadar, Tongibari, Louhojong, Gozaria, Sreenagar, Sirajdikhan, 1 investigation centre, 2 river outposts and 1 town outpost. Narsingdi is 50 km north-east of Dhaka, capital city of Bangladesh and a part of the Dhaka division. Narsingdi district police has 6 police stations: Narshingdi, Raypura, Shibpur, Belabo, Monohordi and Polash, 2 police investigation centres, 5 police outposts and 3 police camps. Tangail subdivision was established in 1870 and was turned into a district in 1969. The over-all area of the district is 3414.35 sq km, with a population of 36,05,083. One of the major infrastructure that exist in Tangail is Bangobandhu Bridge. It has been declared as a Key Point Installation (KPI) due to its strategic importance in the communication and transportation sector and its overall impact on the economy. Tangail district police also started its journey on 1st December 1969 and comprised of a total of 13 police stations: Sadar, Mirzapur, Nagarpur, Sokhipur, Basail, Delduar, Modhupur, Ghatail, Kalihati, Bhuapur, Bangabandhu Bridge east, Dhonbari and Gopalpur under 03 circles. Established in 1984, Kishoregonj is surrounded by Netrakona and Mymensingh districts on the north, Narsingdi on the south west, Brahmanbaria on the south east, Sunamganj and Habiganj on the east, Gazipur and Mymensingh on the west. The district police consists of 13 police stations including two model thanas. The police stations are Kishoregonj Model, Karimganj, Tarail, Hossainpur, Pakundia, Katiadi model, Bajitpur, Kuliarchar, Bhairab, Austagram, Mithamoin, Itna and Nikli. Four circle ASPs are continuously monitoring and supervising all these police stations. Faridpur District, named after famous Sufi saint Shah Sheikh Fariuddin, stands in the west of Dhaka division. Bangabandhu Sheikh Mujibur Rahman, founder of Bangladesh, and Fazlur Rahman Khan, Bangladeshi born American archietect, were sons of greater Faridpur. Mosque, Temple, Church, Tomb and several sacred places like Bismillah Dargha, Sheikh Farid Dargha, Majloish-e-Aloulia Dargah are situated here. An annual fair, Jasim Pollimela, takes place here to commemorate the birth of renowned Bangalee poet Josimuddin.District police consists of 09 police stations: Kotwali, Modhukhali, Boalmari, Alfadanga, Char Vodrason, Nagarkanda, Sadarpur, Saltha and Bhanga under two circles. Gopalganj district police has an important place in the history of Bangladesh and a distinctive position among police force in 64 districts as it is the birth place of Father of the nation Bangabondhu Sheikh Mujibur Rahman and Prime Minister Sheikh Hasina.The district police force came into being in 1984. Its role is not merely restricted to prevention of crimes and maintaining law and order but also providing VIP protection as the President, Prime minister, foreign dignitaries frequently visits Tungipara to pay homage to the shrine of Father of the Nation Bangabondu Sheikh Mujibur Rahman.There are 05 police stations: Gopalgonj, Mokshudpur, Kashiani, Kotalipara and Tongipara under 01 circle. Madaripur as a subdivition began its journey in 1854. In 1984 it was turned into a district. It was named as a Madaripur district after Sufi saint Badruddin shah Madar (15th c). 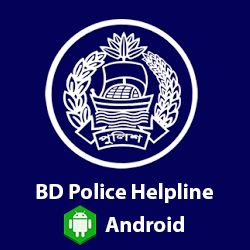 Its total area is 1,144 sq km.From the very beginning, Madaripur district police kicked off its administrative work and now it comprises 01 circle including 05 police stations: Madaripur Sadar, Rajoir, Kalkini, Chashar and Shibchar; 03 town out posts, 05 investigation centers and 01 river out post. Shariatpur district was named after Haji Shariatullah (1781-1840), the founder of Faraizi Movement and an eminent Islamic reformer during British Raj. Shariatpur was established as district on March1,1984. Earlier it was known as Palong Thana under Faridpur sub-division. 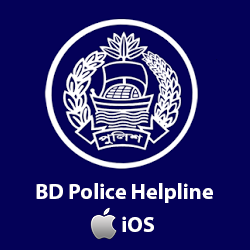 There are seven police stations: Palong, Naria, Janjira, Vedorgong, Damudya, Gosairhat and Shakhipur, and six upazilas- Palong, Naria, Janjira, Vedorgong, Damudya, Gosairhat. Burirhat Mosque in Palong, Kartikpur Zaminderbari in Naria, Haturia Zaminderbari in sairhat are few places of historical importance in the district. Rajbari district police started its journey in 1984.It has one circle named Rajbari sadar.It has five police stations,one town outpost,one river outpost and three investigation centers.The police stations are Rajbari,Goalondoghat,Baliakandi,Pansha and Kalukhali. With the inauguration of Metropolitan Police, Range Reserve Force-Dhaka (RRFD) was first shifted to Mill Barrack, Sutrapur from Shantinagar in February, 1976, and was later moved to Uttara Section-14 beside the office of Armed Police Battalion (APBn)-Dhaka. 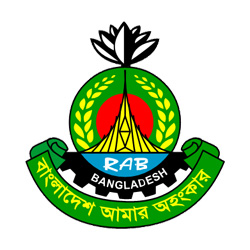 After formation of RAB in 2003, it was again shifted to Mill Barrack and 2 buildings of Dhaka district police have been temporarily allotted to RRFD. 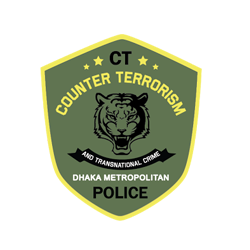 Since its inception, RRFD has been controlled by Deputy Inspector General, Dhaka Range, and also being known as force of DIG. RRFD is headed by a Commandant (SP) and is maintaining emergency law and order duty as well as assisting district police in maintaining law and order in normal situation.